Cyrus Mistry wrote a heartfelt letter to Tata Sons board after his shock removal – unfortunately for everyone involved, the letter was leaked early today morning. Apart from expressing shock and disbelief at his expulsion, Mistry also goes on to talk about certain Tata Projects in great deal. Among the several Tata Projects he talks about is the Nano. 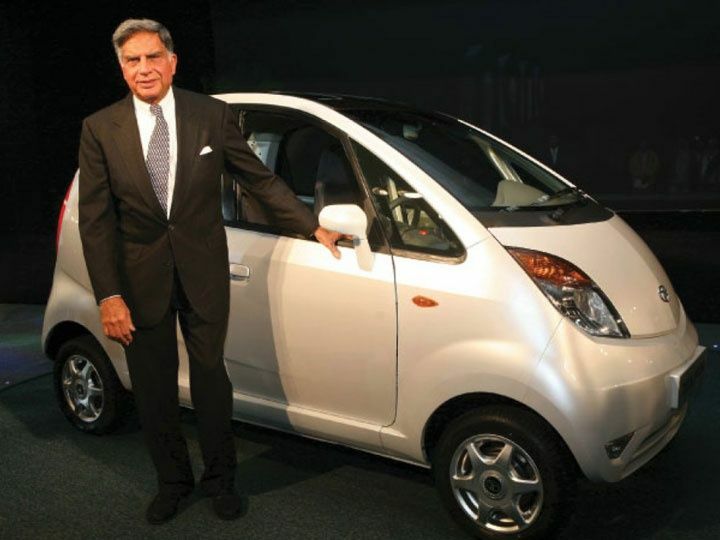 Tata Sons’s erstwhile Chairman, Ratan Tata, had launched the Nano with much fanfare in 2008. It was thought to be Tata’s pet project, and by selling cars for as little as Rs. 1,50,000, it would provide mobility to every Indian. Mistry’s letter now shows that that aim was little more than wishful thinking. “The Tata Nano product development concept called for a car below Rs 1 lakh, but the cost were always above this,” Mistry says in the letter. “The product has consistently lost money, peaking at Rs. 1,000 crores,” he adds. But Mistry says that as Chairman, he found it impossible to shut down the loss-making car. “Emotional factors alone have kept us from this crucial decision.” Mistry seems to be referring to Ratan Tata’s involvement with the project – Tata had taken the world stage and grandly announced that an Indian company was going to create the world’s cheapest car. Mistry seems to imply that even though Tata Motors has found that it is impossible to create a car for so cheap, it’s still hanging on to Ratan Tata’s promise, pumping money into a doomed venture. But Mistry goes on to a more sinister theory. “Another challenge in shutting down Nano is that it would stop the supply of the Nano gliders to an entity that makes electric cars and in which Mr. Tata has a stake.” This seems like a staggering accusation – Mistry seems to imply that the Nano project was being kept alive because Ratan Tata had a vested commercial stake in it continuing. These are serious charges, and call into question the corporate governance at the Tata group. And strangely, the Nano project seems to be emblematic of the problems at Tata – Mistry was the Chairman, but Ratan Tata seemed to have been influencing proceedings from behind the scenes. Mistry seemed to want to run the empire like a hard-nosed businessman; his predecessor seemed to have viewed economic decisions through an emotional lens. And it was these conflicts that seem to have caused Mistry’s premature ouster – he was a cultural misfit, and Ratan Tata seems to have been unwilling to hand over the reins to his $100 billion empire. Update: We analyze the “Nano gliders remark here.